What we have here are tickets to both the Final and Semi-final NCAA Basketball Tournament for 1975. 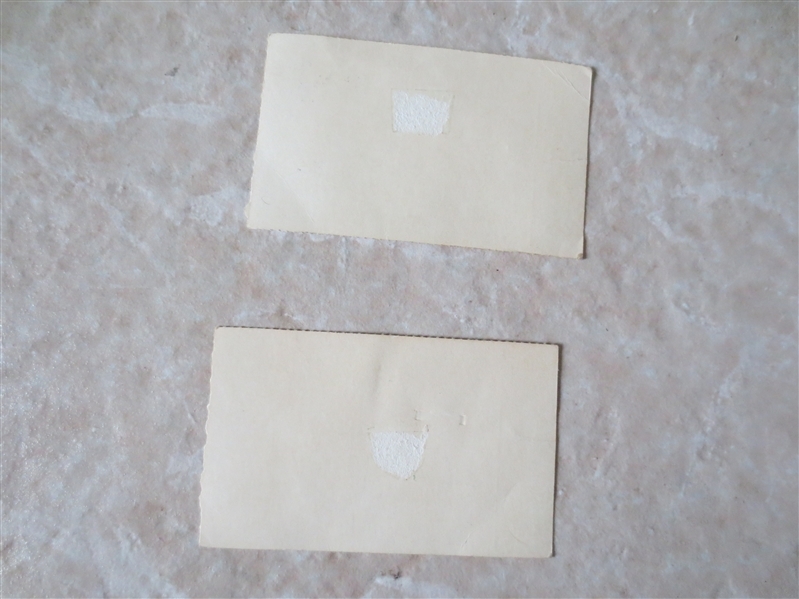 They are dated March 29 and March 31 of 1975. 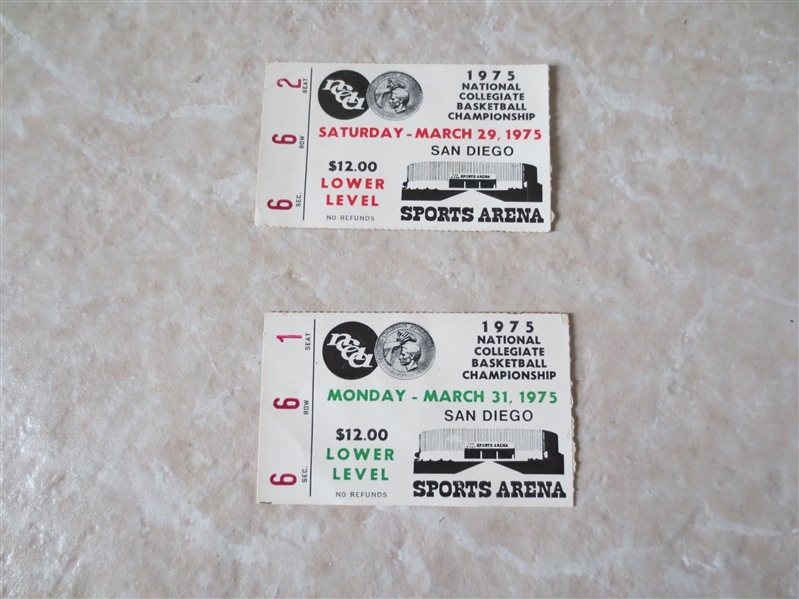 The games were played at the San Diego Sports Arena. In 1975 UCLA beats Kentucky to take it all! I believe these were John Wooden's last games. In the consolation game Louisville played Syracuse. There is a little paper damage on the backs (see photos).